sprinkled with personal inspiration & uplifting music. Our creative Yoga Flow is an graceful flow of dynamic & playful asanas combined with uplifting beats. Move to lighten up and rock your body and mind. And get lost in rhythmic flow movement to feel connected to your Self in the here-and-now. This class is built of innovative yoga flow poses interwoven with funky rhythms, hand mudras, inspiring stories and your conscious breath. You will most probably sweat and certainly go deeper in your yoga practice to find your very own expression of yoga & leave the class in a "happy-yoga-bubble". In Summer the name of this Class changes into "Rooftop Yoga" , "Outside Yoga" or "Garden Yoga". If the weather allows all classes are outdoors during June, July and August. This is an energizing Yoga Flow class with lots of italian charisma and fun. Roberta will challenge you into dynamic movement and guide you through invigorating vinyasa flows that will make you sweat - for sure! Funky beats mixed with good vibes create the perfect atmosphere for your energizing yoga evening! Our promise to you: you won't get bored, you will definitely sweat and most probably feel your body on Wednesday morning. At the end of the class Savasana (your end-relaxation) feels super sweet. In Summer this Class is called Rooftop Energize & Sweat and it held outside on a rooftop if the weather is friendly. 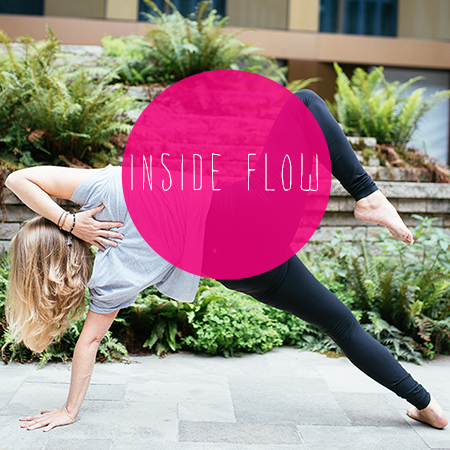 Inside Flow ist abgeleitet von Vinyasa Yoga. Zu moderner Musik wird in dieser Stunde eine Choreographie mit Asanas aufgebaut, in der jede Atembewegung zu einer Körperbewegung führt. Ein sehr freier Stil, wobei jeder in allen Facetten gefordert wird. Der Atem lenkt die Bewegungen und jede Bewegung wird mit der Ein- und Ausatmung und dem Rhythmus des Liedes synchronisiert. Für alle, die gerne ein dynamisches und kraftvolles Fliessen erleben. Rocket Yoga is an Ashtanga Yoga System because we study our self through breath, bandha and dristi…but this practice can be deeper and more illusive than the traditional Ashtanga Yoga practice itself! Rocket Yoga is the “YES” Yoga of the Ashtanga Yoga world. Yes you may take ownership of your yoga practice. 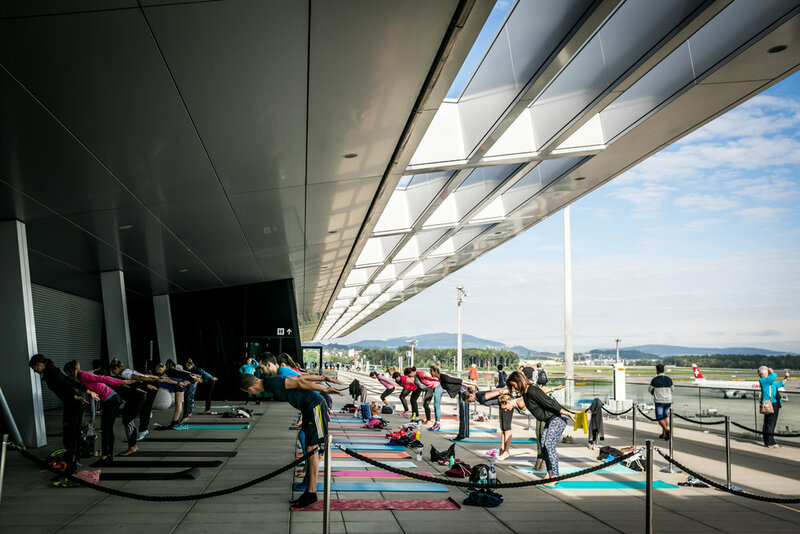 POP UP YOGA bietet als einziger Ort Rocket Yoga in der Schweiz an. Bei Yin Yoga lassen wir uns Zeit, sinken in verschiedene Asanas hinein und verweilen drei bis fünf Minuten in einzelnen Posen. So wird nicht nur das tieferliegende Gewebe stimuliert, sondern auch der Geist beruhigt. Begleitet von verschiedenen Düften, Klängen und warmem Kerzenlicht lassen wir gemeinsam den Tag ausklingen. 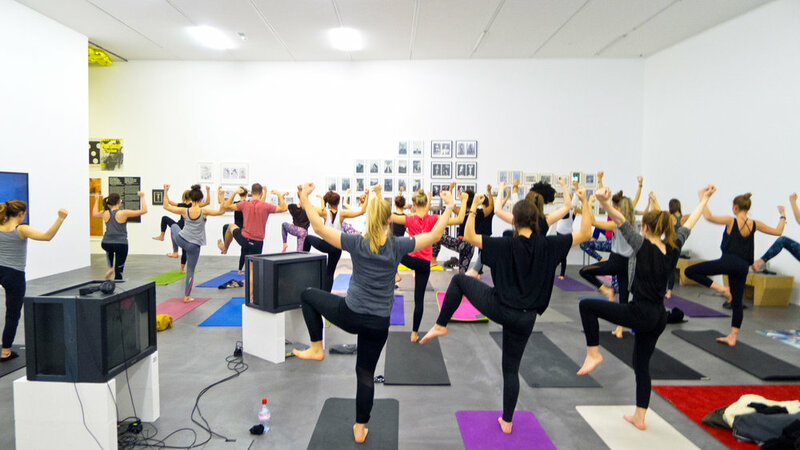 Our changing locations will surprise you - yoga in an art gallery, a nightclub, in a hip clothing store, a restaurant or on a rooftop. Especially during the summer months we pop up in various exciting places, bringing yoga out of the studio into YOUR life. In winter we have more steady homes and locations where we can come together on a regular basis to learn and grow together. Check our class schedule to find the location for each POP UP YOGA class.